Clive Greensmith | The Chamber Music Society of Lincoln Center. During a career spanning over twenty-five years, Mr. Greensmith has built up a catalogue of landmark recordings, most notably The Complete Beethoven String Quartet Cycle for Harmonia Mundi with the Tokyo String Quartet, Mozart’s ‘Prussian’ Quartets with the Tokyo String Quartet and Brahms Cello Sonatas with Boris Berman for Biddulph Recordings, and Clarinet Trios by Beethoven and Brahms with Jon Nakamatsu and Jon Manasse for Harmonia Mundi. His recording of Schubert’s String Quintet in C Major with the Tokyo String Quartet was named an “Outstanding” recording by the International Record Review. Deeply committed to the mentoring and development of young musicians, Clive has enjoyed a long and distinguished teaching career. In addition to his fifteen-year residency with the Tokyo String Quartet at Yale University, Mr. Greensmith has served as a member of faculty at the Yehudi Menuhin School and Royal Northern College of Music in England, the San Francisco Conservatory of Music, Manhattan School of Music and New York University. 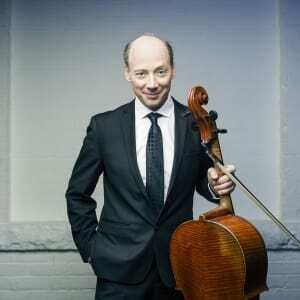 In 2014 he was appointed Co-Director of Chamber Music and Professor of Cello at the Colburn School in Los Angeles. Students of Mr. Greensmith have gone on to secure major positions in orchestras throughout the world and have won a number of prestigious awards. In 2015 he was a jury member at the 2015 Carl Nielsen Chamber Music Competition in Copenhagen. Mr Greensmith is a founding member of the Montrose Trio with pianist Jon Kimura Parker and violinist Martin Beaver.